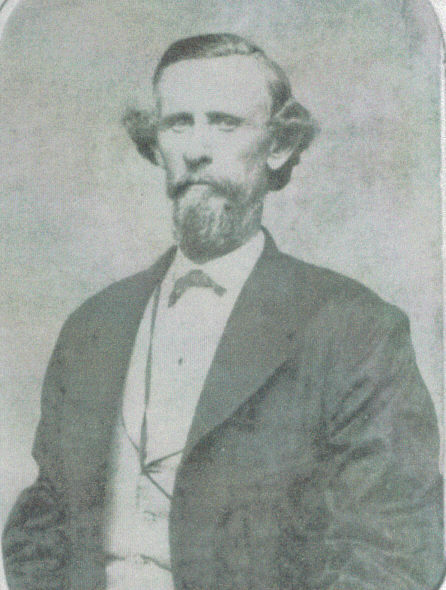 John Farrell Allen was born in New Madrid, Missouri on March 29, 1824 of early French settlers in southeast Missouri. He was the only child of Samuel W. and Cecelia (LeSieur) Allen. He received an A. B. degree from St. Mary’s of the Barren Seminary, a small Roman Catholic College in Perry County Missouri. He then studied for 2 years under Dr. John Kirkwood before going to the University of Pennsylvania to complete his medical education. In 1847 at the age of 23 he graduated from Pennsylvania Medical School, the oldest and best-known scientific-model medical school in the United States. After graduation Dr. Allen went to Batesville, Arkansas, stayed for a short while, then traveled down river to New Orleans. He returned to Batesville after a few months and remained there until his death. He married Mary E. Agnew from Pennsylvania on April 25, 1849. Mary Agnew was the daughter of Dr. James Agnew and the granddaughter of Richard Howell, Governor of New Jersey and the niece of A.W. Lyons, a well-known educator, who established the Batesville Academy. The couple had 4 daughters and one son. Mary Agnew died in 1881. Dr. Allen was known to have the largest practice in north Arkansas. He made calls by horseback or with a horse and buggy, charged 12 ½ cents a visit and never sent a bill. His first practice was with Dr. W. B. Lawrence. Later Dr. Lawrence’s son, Billy Lawrence, graduated from the University of Pennsylvania and returned to practice medicine well beyond Dr. Allen’s time. Batesville was fortunate to have 2 physicians from the prestigious Pennsylvania Medical School. In addition to Dr. Allen’s medical practice he was a leader in Batesville’s business, religious, educational and civic endeavors. Batesville, at that time was a thriving city and the last port to be reached by steamboats on the White River. no enemies.– His kindly geniality and unfailing liberality will be sadly missed”. is credited with changing the names of the college to Lyons College. contributions were to the IOOF Widows and Orphans home and Lyons College. He died on September 22, 1901 at the age of 77 and is buried in Batesville. At the time of his death he was known as the oldest man in Batesville.